Interior illusions become new universal design trick. They’re not only showing your originality, but play functional roles: space enlargement, division, limitations masking, accenting, light distribution, attention keeping. 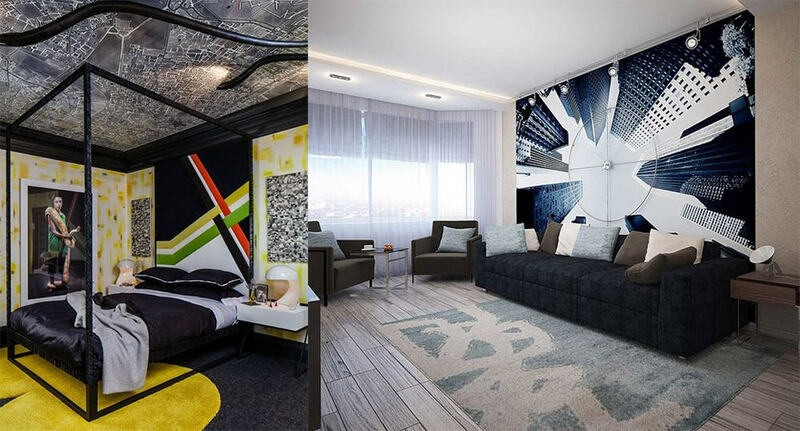 Especially, enlargement’s old tricks sometimes make bored, so smart architectural solutions with optical illusions climb on design trends 2019 trends’ top! Despite some complexity that new decoration ideas are available for any person! Discover them in our «Interior design trends 2019: breathtaking interior illusions in design» article. New decoration ideas 2019: Break the system! 3D Interior illusions wallpapers already became usual. But years before 2019 characterized by photo wallpapers, macro photos with 3D effect. 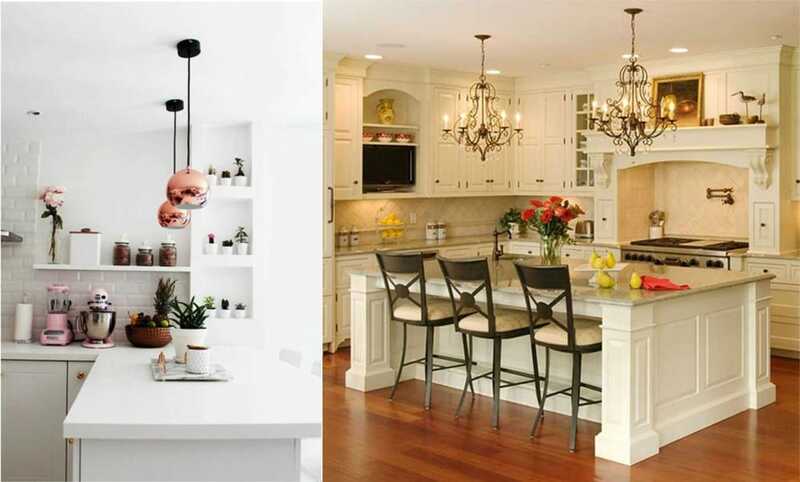 Design trends 2019 brought new decoration ideas – simple geometric shapes aesthetics. If coming in you guess you see relief walls, than going closer or touching them understand it’s flat surface – your design’s mission accomplished! LED lights under furniture big details create flying effect. Repeating figures really make some attention defocus effect. Use those interior illusions carefully! Their abundance, especially on walls and ceiling, should be appropriate in bathroom, where you need relaxing, but not at working zone! They will interfere with concentration. If you like that option in other rooms, use it dosed, only for floors or their parts. Choose better black&white options. They’re softer for human’s eyes. 3D city map or photo from bird’s eye view goes for ceiling or, sometimes, walls. Same trick looks actual with photo from down, just use it for walls only. Such ceiling image will act oppressively. Such new decoration ideas called to break habitual foundations and develop imagination. Dream boldly! Faux windows appeared before in many European kings’ residences. Now that mystic trend should come back, sometimes enriched with modern technologies! Simple interior illusions came from past centuries make admired! What’s hidden behind window shutters? Your guests should be surprised, seeing mirror there! Such trick creates magical multidimensionality feeling. Reflect light in mirror for even more mystic effect. Two mirrors facing each other charmingly confuse eye! Try new decoration ideas on previous one’s base. Simulate window without shutters on simple wall with character frame. Place light box with beautiful landscape inside. It looks very efficient at corridor’s end. Use same trick for built-in wardrobe witty masking. Draw surrealistic canvas on wall or furniture. Perspective feeling should make reality sensation. Look and… repeat! Fully symmetric room design or some parts whole identical reiteration catches attention in moment! Such new decoration won’t be boring in 2019, if they’re thought out well. But we guarantee – no one could indifferently pass by, without thinking about this unexpected phenomenon. Is that your idea or strange coincidence?.. Leave place for humor, giving vague answers. It’s secret doors’ concept new interpretation. Wanna keep some zone private? 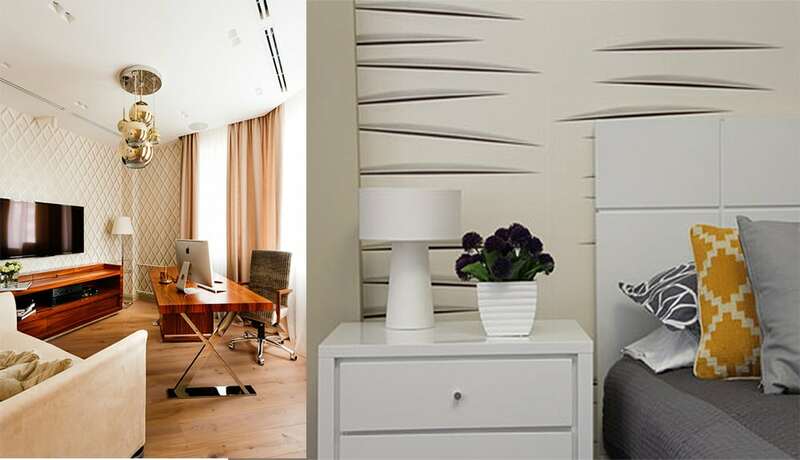 Your room design should include same tone walls, where one of them is rotating door! Seams should be invisible, so your guests will never guess you own secret room behind that wall. Last smart home tendencies, especially popular between High-tech lovers, brought new rotating walls concepts.First idea – Remote Control using instead of push. Others connected with smartphones, voice control, etc. 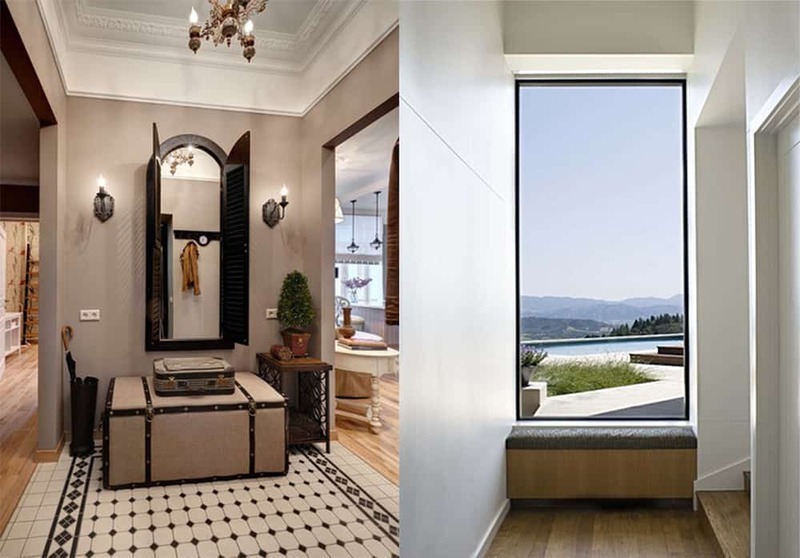 Design trends 2019 allows same tricks with simple doors, built-in wardrobes, etc. At first glance, a metal lamp-tube above bar counter seems quite technological element in kitchen. However, when electricity is lit, you’ll see hidden elegant, moderately pompous crystal chandelier inside that pipe! That’s cool way for Industrial and Classic style combination in design trends 2019! What about books, soaring in air? 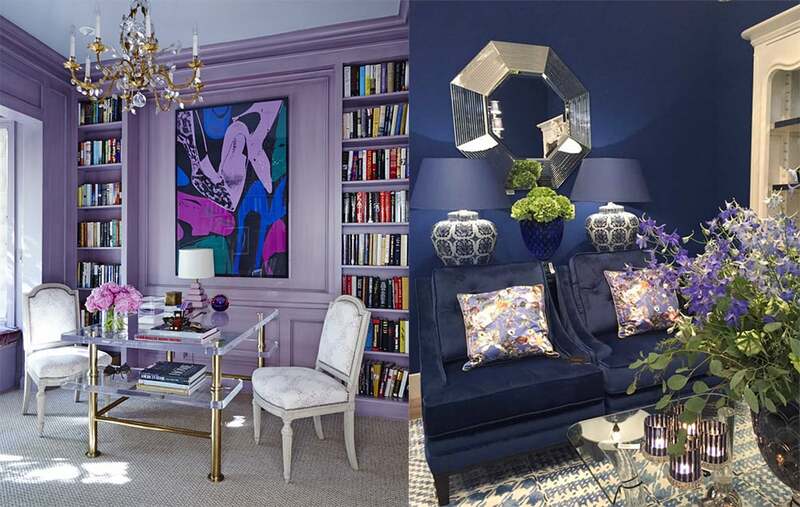 Interior design trends 2019 gives that opportunity! In fact, it’s thin «invisible», but strong metal frame on wall, creating flight interior illusions. Try that technology for different shaped shelves also. Confuse surface, where some material should be traditionally laid. For example, use parquet boards for doors or walls. That resistant material gets erased much more later than ordinary paint or wallpapers. These interior illusions achieved by geometry and prints tricks. Soft sofa with sharp edges and corners and realistic wooden prints looks like real bench! Textured drapery could be… only print on solid surface! That’s work for real professionals! Anamorphic typography created by 21 years old Joseph Egan gains millions art lovers hearts. That’s trend intended for creative, young in heart people. It’s words and phrases painted on several volumetric surfaces-layers so that they can be read from one particular angle only, from special point of view. Not finding it, all this will look like chaotically scattered brush strokes, scribbles, blots, figures. So, wonders are possible in any home with professional architecture and design help! Hopefully, our «Interior design trends 2019: breathtaking interior illusions in design» article woke your carving for magic!